I always hear people saying they need to rest when they get home from vacation and I typically feel the same way, but it’s because I’m traveling with my kids and that is usually exhausting. Ryan and I went to Chicago aloneon Thursday and got home this afternoon and I feel like I need to sleep for a week. This may be better illustrated with photos. See if you can spot the common theme. Enjoy! 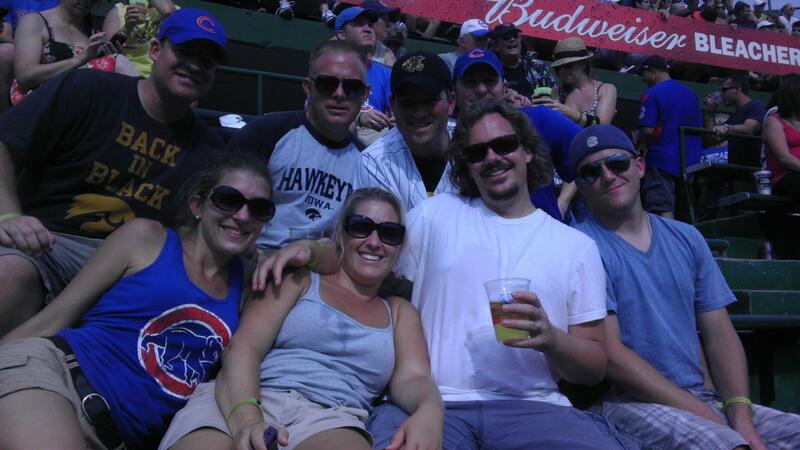 The Cubs Crew. I swear that is water spilled on my shirt – not beer. 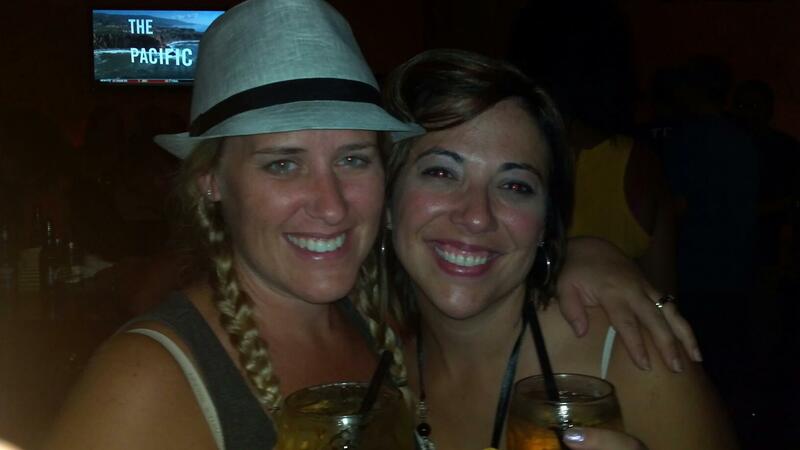 I have to give credit to Kellie for letting me wear her hat – I think I invented an alternate personality when I had it on. 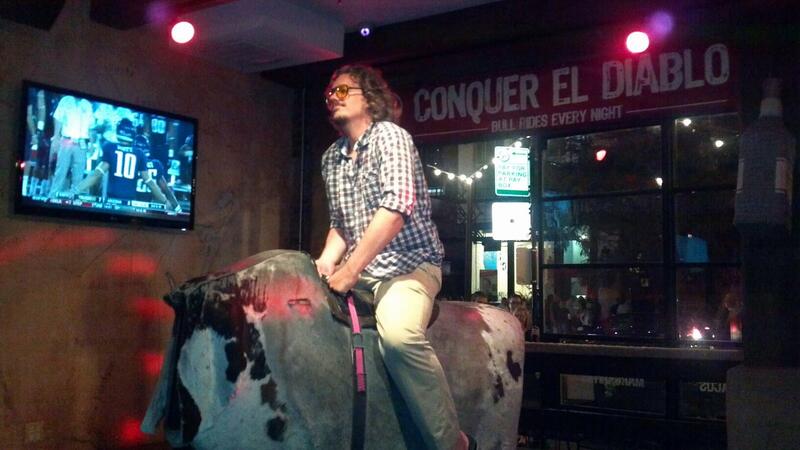 I kind of surprised myself at not riding the bull – that seems like something I would be doing without an ounce of hesitation. It must have been the hat. Ryan, on the other hand…well, let’s say we had a bit of a roll reversal. And I’m done. I slept for 2 hours on the plane – that mouth agape, drooling sleep. No picture of that. 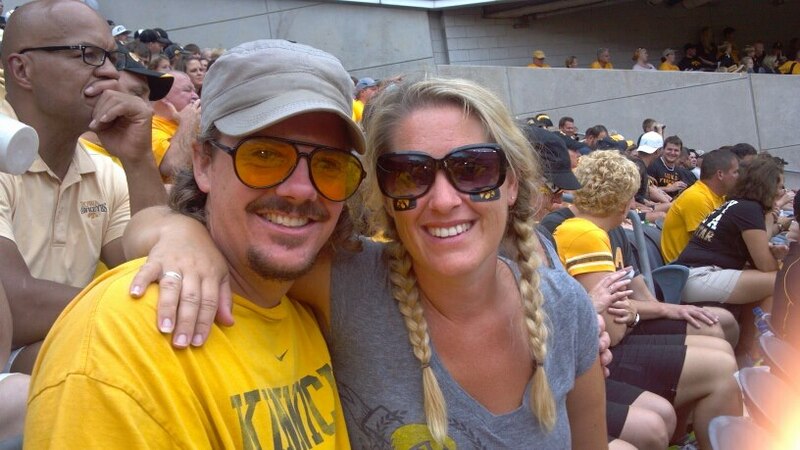 This entry was posted in Miscellaneous Ramblings and tagged Chicago, Cubs, Hawkeyes, Vacation by Amy. Bookmark the permalink. 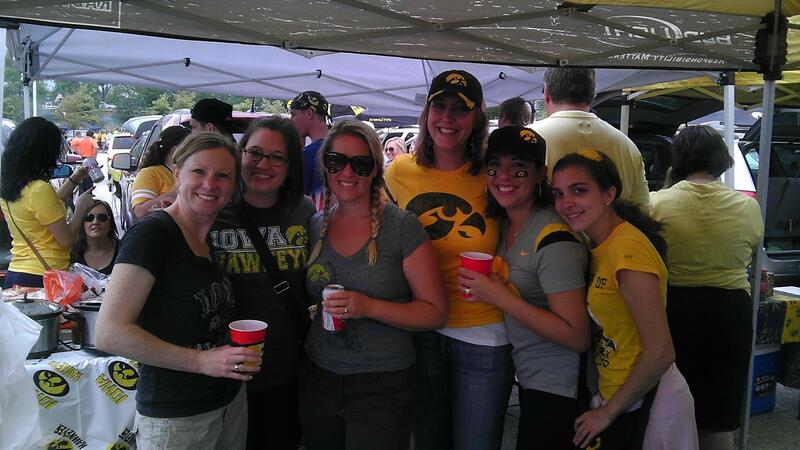 Well, you know Iowa fans like to support the Hawkeyes by seeing how much they can drink before and after the game. Thanks for stopping by, I’m definitely going to check out your blog! Go Hawks! We had lots and lots of fun- in fact, I ran into a girl that Ted and I used to work with at the bank! Those Red Solo Cups served more than one purpose…that’s all I have to say about that. HAHAHAHA – I wondered if you would catch that. Seriously, the line for the bathroom was infinite.